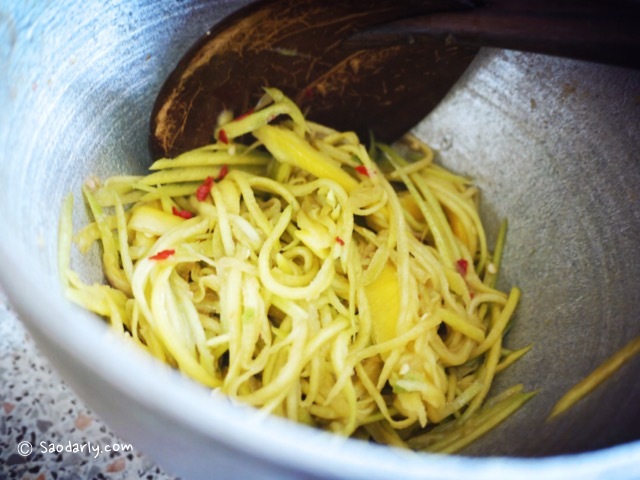 I was in China Town in Den Haag yesterday afternoon and went to Wah Nam Hong grocery store to stock up on few things. 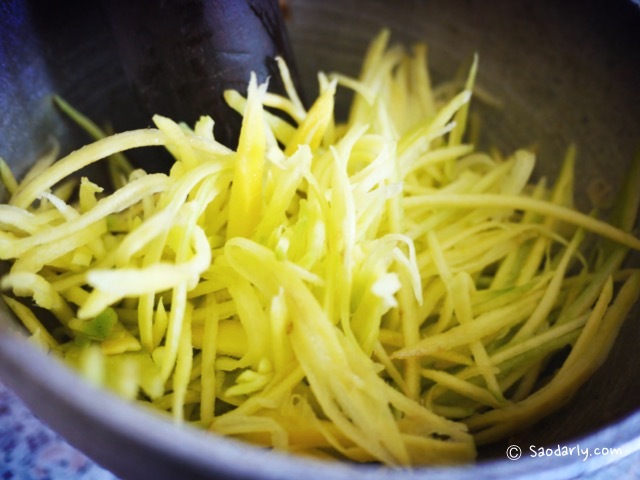 I wanted to buy a green papaya to make green papaya salad for dinner but it was too expensive, 8.50 Euro for one kilo. 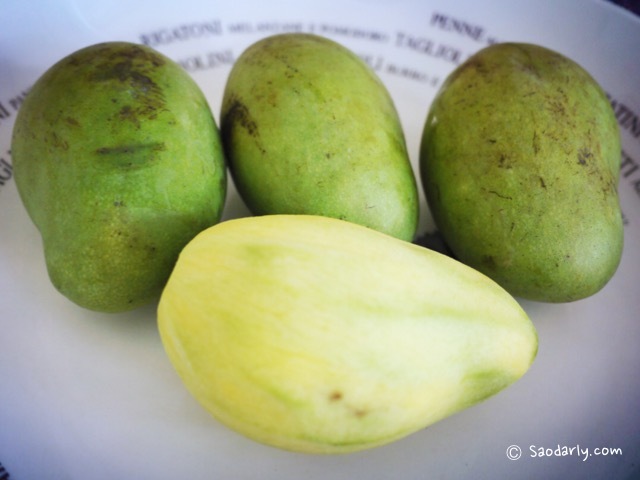 I saw some small green mango available for 3.95 Euro per kilo so I bought four of them. 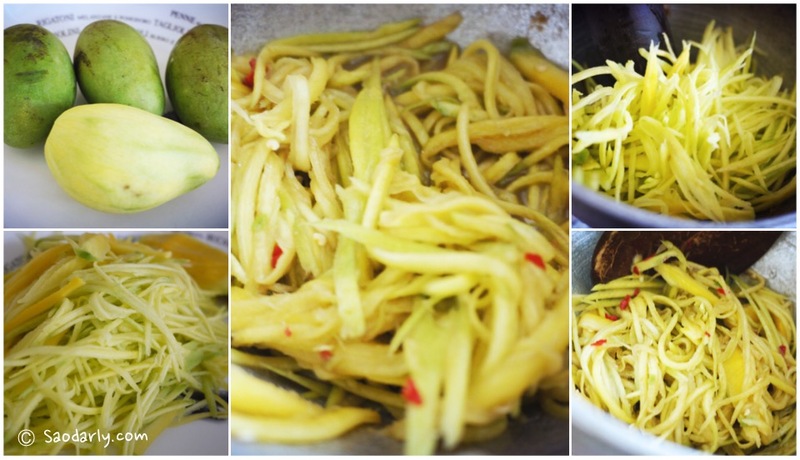 Later, I decided to make green mango salad (Tam Mak Muang; ຕໍາຫມາກມ່ວງ) for dinner. 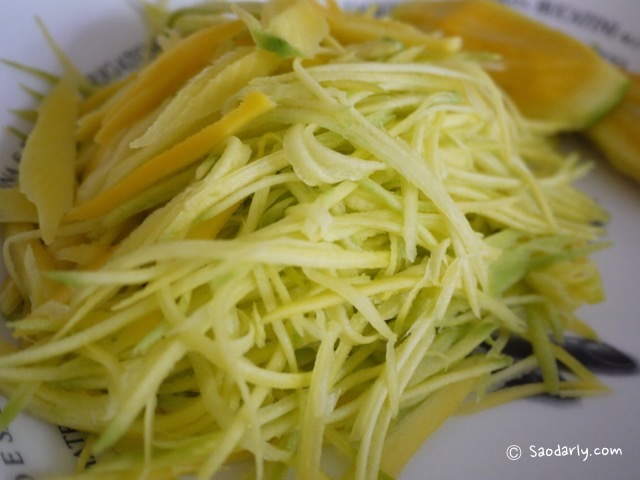 I ate the green mango salad with Piper sarmentosum (phak i leut or pak eelerd; ຜັກອີ່ເລີດ). 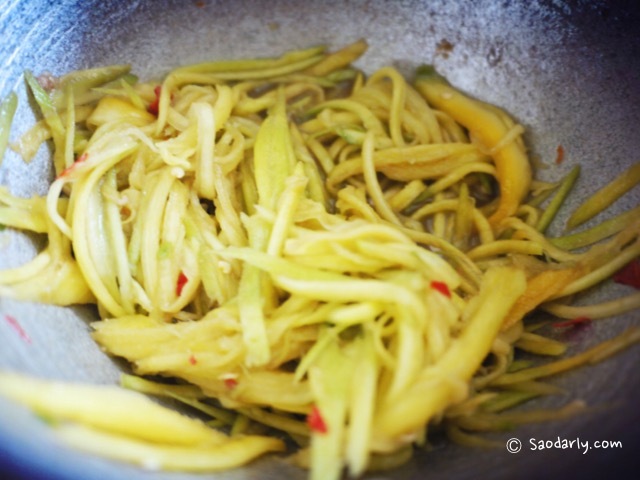 While I was in Luang Prabang last month, I was introduced to eating pak eelerd, which is now known as phak nanglerd (ຜັກນາງເລີດ) for politeness with green mango salad. Please give it a try and you just might like it.